Welcome to the #BoogieBabesLuvBW Giveaway!! 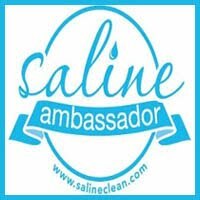 As members of this Special Saline Ambassador group (Boogie Babes) it is our goal/duty to tell everyone we know about how great and useful Boogie Wipes, Pampers Kandoo and Puffs Fresh Faces products really are! Boogie Wipes~ Boogie Wipes are made with saline to dissolve boogies (mucus) caused by the common cold, allergies or otherwise booger-filled kid moments. Extra soft and scented in Great Grape, Fresh Scent, Magic Menthol (for extra stuffy noses), Simply Unscented and Boogieberry, Boogie Wipes are recommended by Pediatricians as a gentle, effective alternative to a dry tissue. Boogie Wipes are available in 10, 30, 45 and 90 count packages. 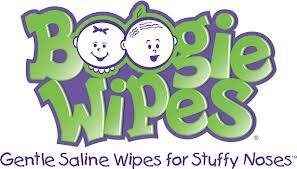 The newest product from Boogie wipes is the Boogie Mist Gentle Saline Mist. Pampers Kandoo Line of Kid Friendly products - Handsoap, Shampoo, Body Wash and Hand Sanitizer specifically designed to help children get clean on their own. aloe, and vitamin E for all your face has to face each day. They are available in Fresh scent, Light Lavendar, fragrance free and the scent of Vicks. available in 45 and 15 count packages! ONTO the Giveaway~ Thanks to our wonderful Hosts and co-hosts, There are 5 Great prize packages available to be won as part of THIS giveaway! To enter scroll down and enter via the rafflecopter gadget below. Pampers Kandoo wash your hands Magic Melon scent moisturizing hand soap, 30 count fresh scent Boogie Wipes, 15 count Puffs Fresh Faces fresh scent wipes, 10 Puffs Fresh Faces fresh scent samples, 10 Puffs Fresh faces samples with a scent of Vicks and 20 $1 off coupons for Puffs Fresh Faces! 30 count Boogie wipes fresh scent, full size bottle of Pampers Kandoo Detangler, 10 samples of Puffs Fresh Faces fresh scent, 10 samples of Puffs Fresh Faces with the scent of Vicks and 20 $1 off coupons for Puffs Fresh Faces! 45 count Puffs Fresh Faces fragrance free wipes, 10 Puffs Fresh Faces samples fresh scent wipes, 10 Puffs Fresh Faces samples with a scent of Vicks and 20 $1 off coupons for Puffs Fresh faces! 90 count tub of Boogie Wipes fresh scent, 10 samples of Boogie wipes fresh scent and 10 50 cent off coupons for Boogie Wipes! Winning entries will be verified before prizes are awarded. Disclaimer: Dnbuster's Place is responsible for the awarding of the prizes. If you have any questions about this giveaway, or would like to sponsor the next giveaway please email me at dnbuster@dnbustersplace.com. This promotion is in no way sponsored, endorsed or administered by Boogie wipes, Pampers Kandoo OR Puffs Fresh faces. I would love to win prize pack number 5. Thank you for hosting this giveaway. I believe I would like two or three. Both are great, and all of the prizes are prizeworthy! Thank you for hosting this giveaway. Id like to win any this are all GREAT!!!!! !